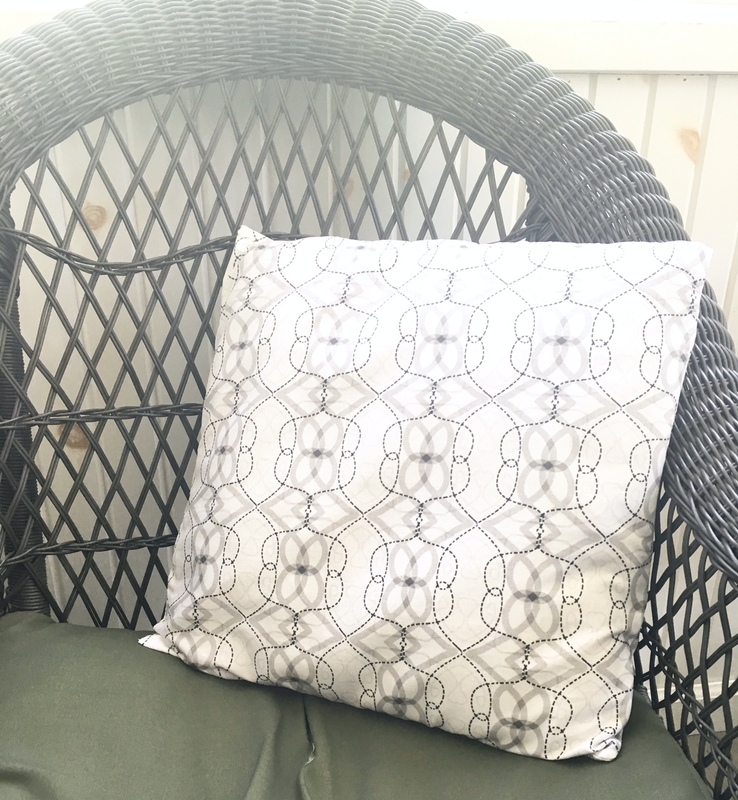 How to Make Your Own Monotone Geometric Print Throw Pillow - Genue DIYGenue Inc.
Monochromatic color is perfect for chic, simplistic décor. 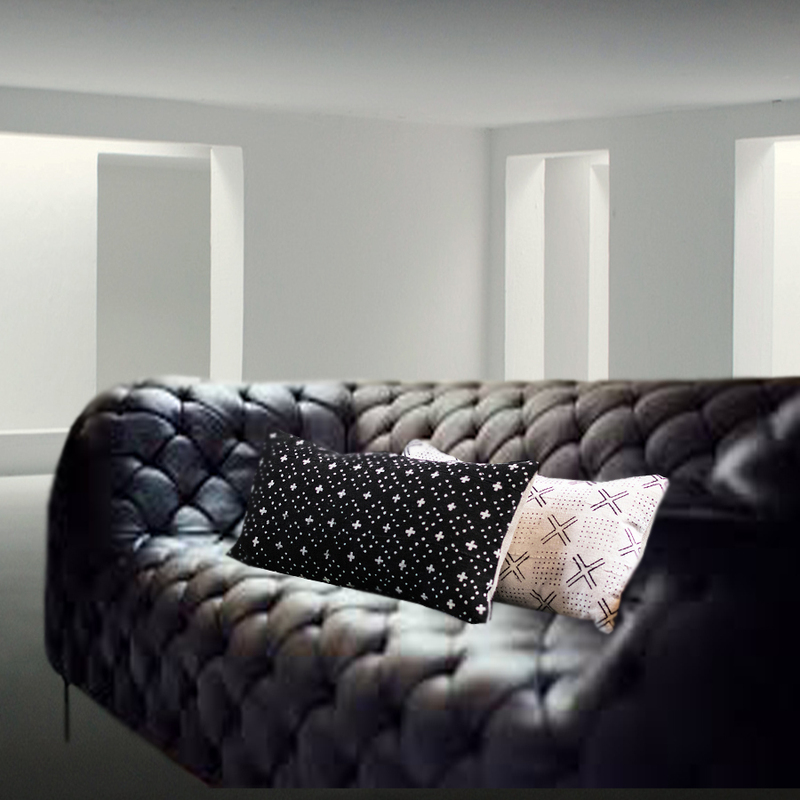 Black and white color schemes have always been synonymous with elegant design. This month at Genue, we’re celebrating the use of tone-on-tone color in the form of geometric throw pillows using shades of grey. Follow the instructions to learn how to draw and sew your very own! Begin your pattern by picking out a color scheme. This month our color scheme is monochromatic black-and-white, while using the ‘opacity’ slider to create different shades of grey. 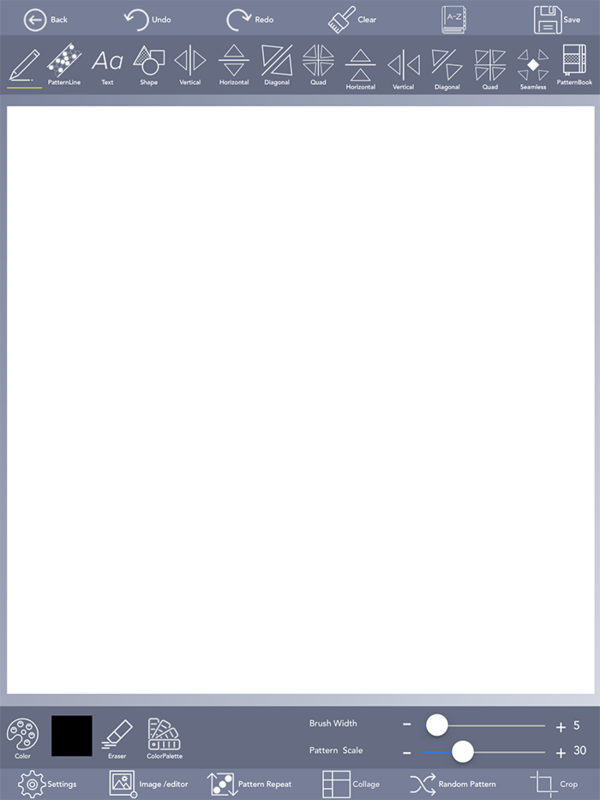 We won’t need to pick a specific background color for this design, because we’ll be utilizing the original white of the canvas…so all you have to do is open the program and begin drawing! 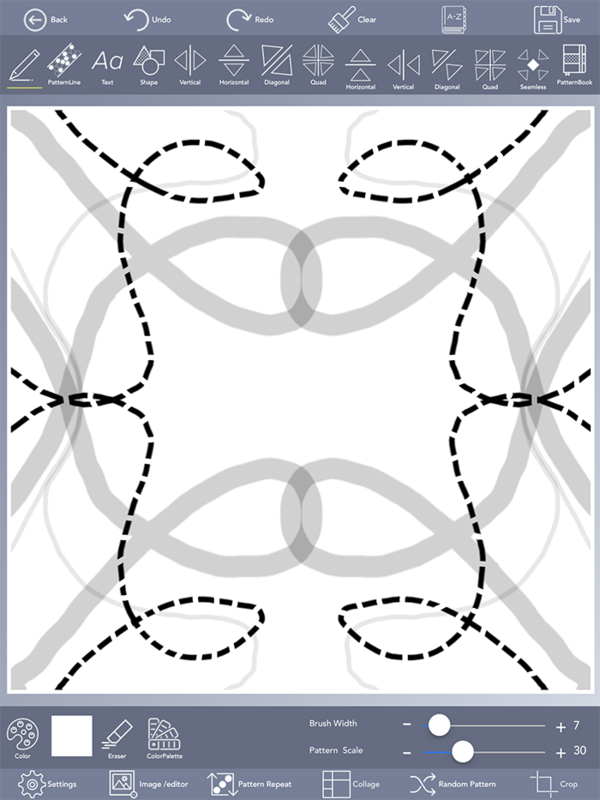 Press the ‘freehand drawing’ button to begin drawing your pattern. Open up the color selection window with the ‘Color’ button and make sure that your brush is set to black. Change the opacity with the slider tool to somewhere around 35%-50%. When you’ve done this, hit the checkmark in the upper right corner of the window to finalize your selection. Now it’s time to begin drawing! Set your brush width to about 45-55 pixels wide using the slider bar at the bottom right of the screen. Next, select the ‘Quad Mirror’ tool in the Design bar at the top of the canvas. This tool will mirror the marks you make in all four corners of the canvas. Pick one corner to start with, and make looping motions across one half of the canvas—be loose and abstract! Your design doesn’t have to match ours perfectly…be creative and make it your own. 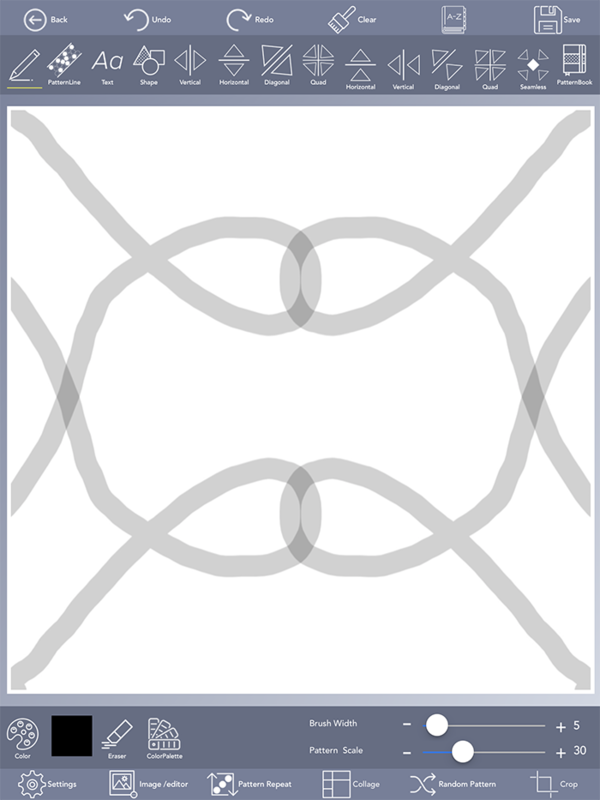 You should have several looping lines like this by the time you’re done. Next, change your brush color to pure black, with the opacity at 100%, and change the brush width to about 5-8 pixels wide. 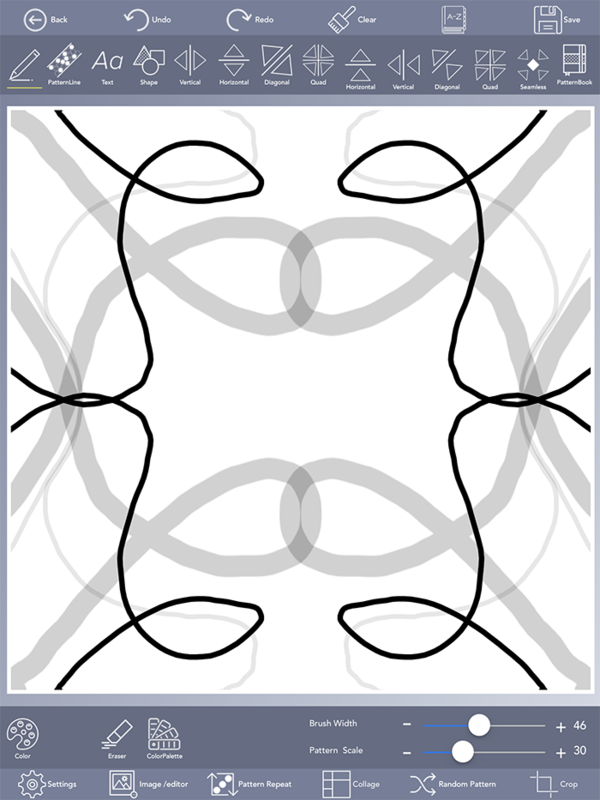 Make sure that the ‘Quad Mirror’ tool is still selected, and draw some abstract looping lines across the canvas. Once this step is complete, open the ‘Color’ window, and change the opacity of your black brush to about 10-15%, and change your brush width to about 3-5 pixels wide. 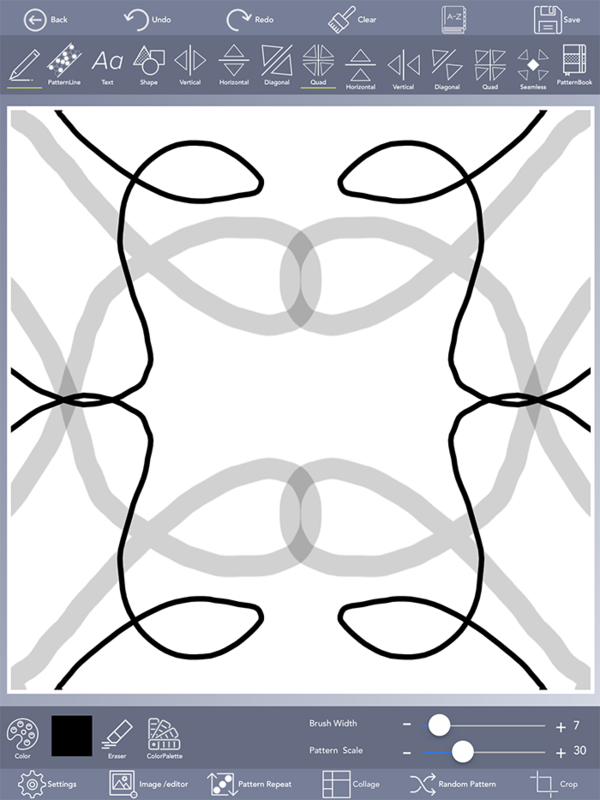 Draw some looping lines around the outer edge of your canvas, again using the ‘Quad Mirror’ tool. Almost done now! For our last step, it’s time to repeat the pattern. 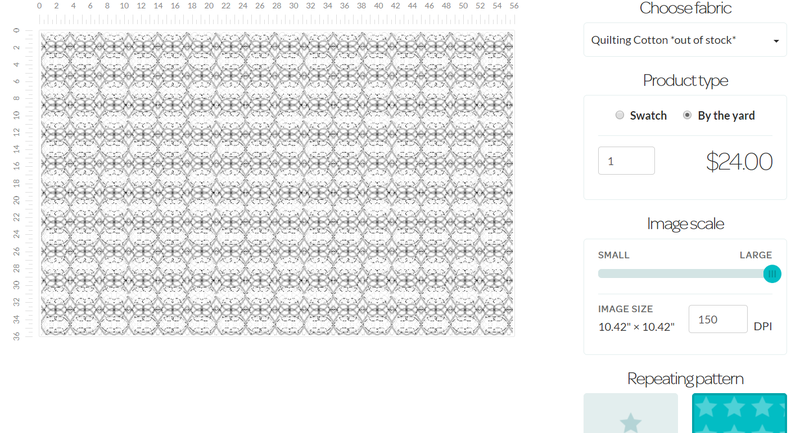 Press the ‘Pattern Repeat’ to bring you to the screen where you can repeat your design, change its orientation, etc. Change the amount of times your design is repeated with the plus sign at the top of the screen—how many times you’d like to repeat your design may depend on your preference, but for our project, we repeated it 3 times. Watch the video below to see how the process works! Once you’re satisfied with your design, press the ‘Save’ button and save your pattern to ‘Final Designs’. Select the ‘Final Design’ option on the far right. Leave this screen and navigate to left side bar where you’ll find your saved Final Design. Select your Design and choose Export which will take you to screen below. Our chosen Maker prints fabric with a DPI of 150-300, so adjust it accordingly using the slider bar. Email either a JPEG or TIF file to the device that you’ll be ordering the fabric from so that you can access the image later. 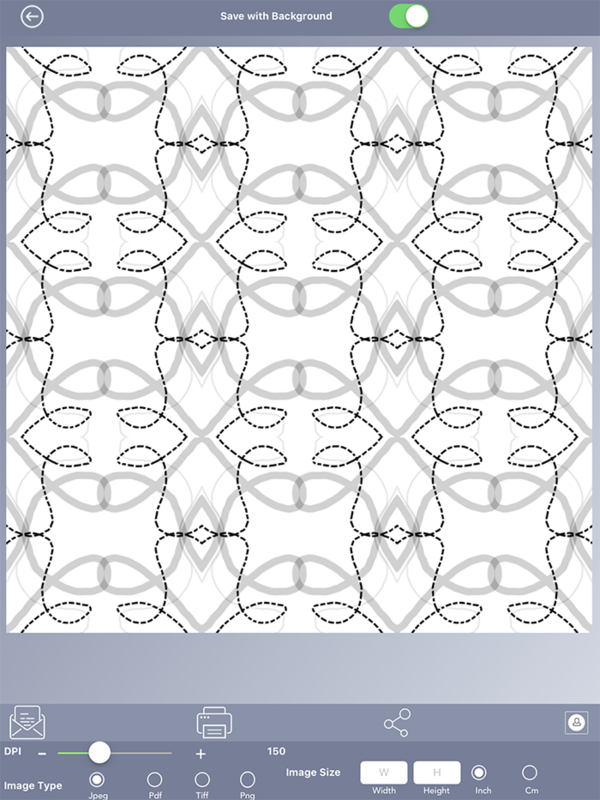 This month we’ve selected DesignYourFabric.com to produce our fabric for this month’s project. Log onto their site and upload your pattern. On their editing screen, you can change the kind of repeat your pattern has, change the image scale, and the image DPI. Make sure the ‘Repeating’ button is selected on the editing screen for your image to repeat on the fabric. For this project, we ordered 1 yard of Quilting Cotton. Once you’ve entered this information, press the ‘Next’ button at the top right of the screen to enter your billing and shipping information. Your fabric will ship in after about 10 days of production time. 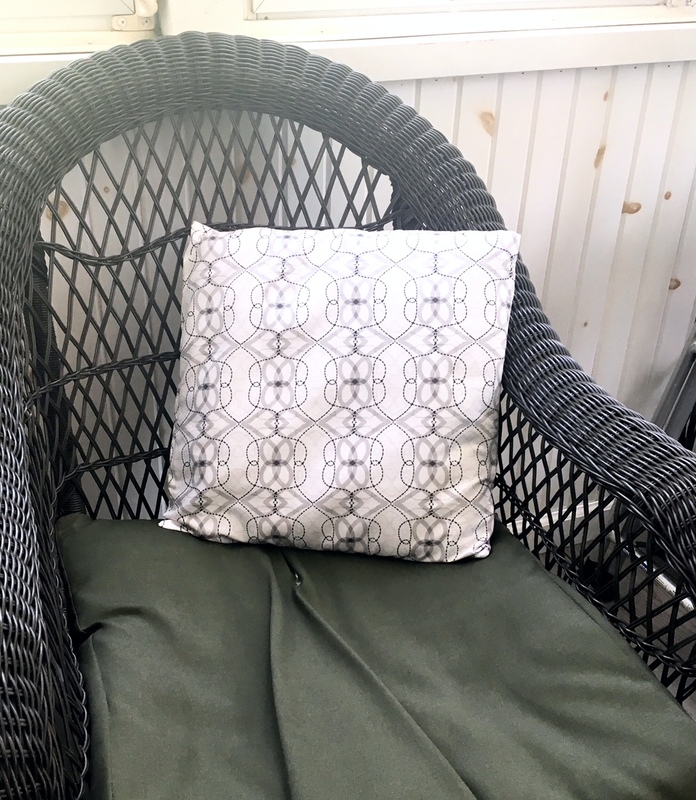 Once it’s arrived, follow this easy video tutorial by The DIY Mommy to learn how to sew your pillow. Once it’s finished, all that’s left to do is enjoy your handiwork! Enjoy your one-of-a-kind throw pillow with your Genue design!